A bright, pop-art home accessory, the We Say 'yay' Speech Bubble Trinket Tray will add a pop of colour and fun to your home! A simple and easy way to organise yourself, the We Say 'yay' Speech Bubble Trinket Tray is fabulously unique and will make an eye-catching display piece whilst also being super useful. 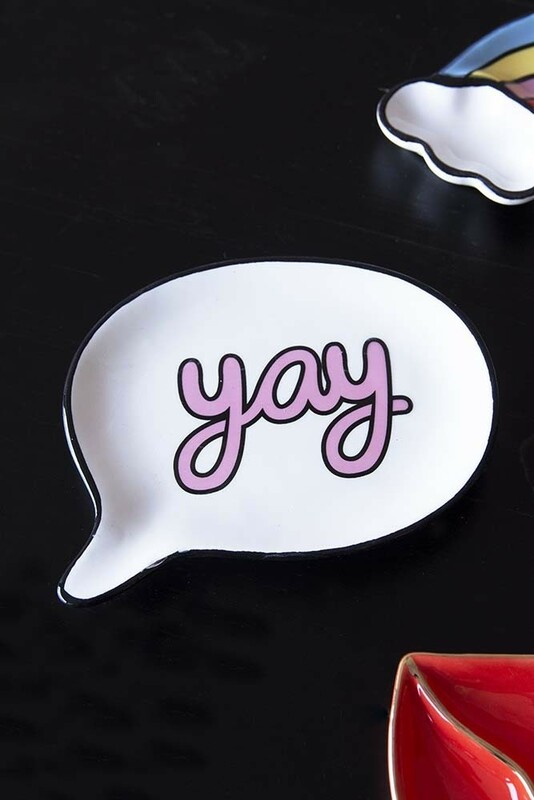 The perfect gift for yourself, lover or a friend, style the We Say 'yay' Speech Bubble Trinket Tray on a bedside table, chest of drawers, console table or side table and never lose your keys again (hopefully! ).